It is important to keep track of trial updates on clinicaltrials.gov. Recruiting status, location numbers, estimated completion date, such information is good indicator of how much progress is made and how much resources the company is investing in the trial. But there is no tool available to efficiently keep up to date on clinical trials. You can regularly do manual checking. It is a waste of time and efforts and could be repetitive and tedious when you have a long list to keep track. Tired of manual checking, I automated this process with a web app. No more manual checking. Sign up to embrace automated clinical trial tracking. 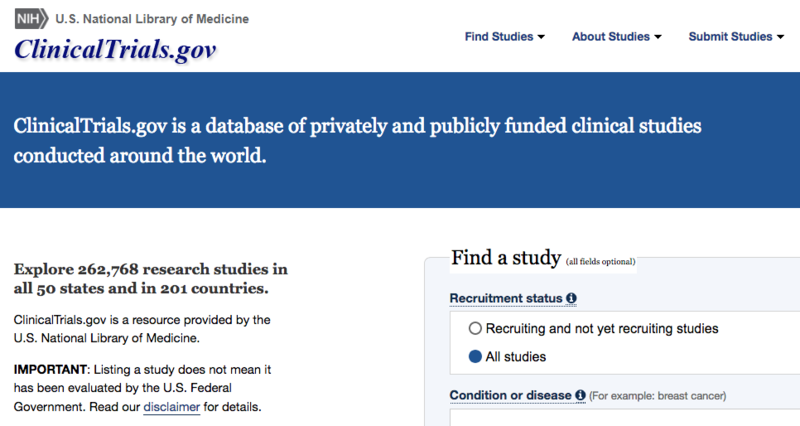 This web-based public service notifies registered user updates of selected clinical trials. basic understanding of Python. So you can understand and adapt the script to your need. A computer that runs Python. Revise trialDB.csv with your favorite trial information. A server/computer that can run Python script periodically at fixed times, dates, or intervals, using cron. mailgun or any other email service to send you email. Revise the script accordingly. Please let me know if you like it. If there is enough interest, I may develop this into a web app for easier use.